Welcome to 132 Nassau Lane, in the desirable community of Brook Crossing. This 4 bedroom 2.5 bathroom spacious home with a 2-car garage rests on a large, corner lot. Enter into the foyer and be immersed in the Pottery Barn feel of this home with neutral paint and bamboo hardwood flooring throughout the home. The spacious, formal dining room features wood flooring and a custom lighting fixture. The large eat-in kitchen offers a great place to entertain, with an open floorplan to the family room, large pantry, newer appliances and a sliding door that leads out to the large, composite deck that has a retractable awning. The adjacent family room is anchored by a warm, propane fireplace, perfect for those cool evenings. A conveniently placed powder room rounds out this floor. Upstairs you will find the master bedroom suite which is adorned with vaulted ceilings, a ceiling fan, an enormous walk-in closet and a huge on-suite bathroom with dual sinks, large linen closet and separate shower. Three additional generously sized bedrooms with plenty of closet space finish this level. The basement is finished and perfectly flexible for so many needs; play room, work-out area, hobby room, additional family room, man cave and still has storage space to spare!. 100% USDA financing in available on this home! Great home, yard, and location make this a winner all the way around. 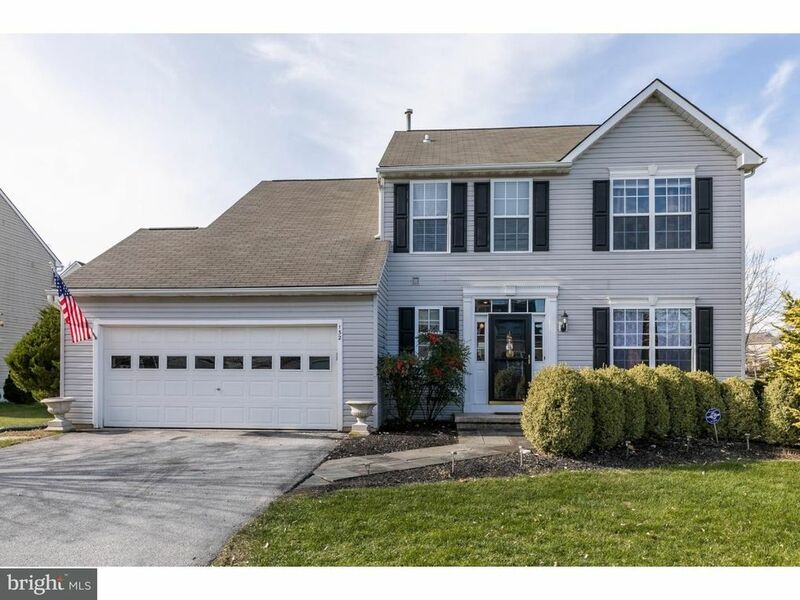 Conveniently located to major highways, schools, shopping, public transportation, parks and recreation, 132 Nassau Lane is waiting for you to call it home!